Last week I introduced Louise Penny and all the awards she has won for her books, most notably, The Agatha. 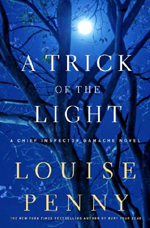 When I first started reading her latest, A Trick of the Light, it reminded me a bit of the great Agatha Christie. I loved the quaint little village of Three Pines and the assortment of people who live there; unique characters, made very real, much like Christie made her characters real. The suspects are many in this wonderful story, penned with such exquisite language that I would stop now and then to just savor a word or a phrase or a description. "This was the village that had lived behind the thin wooden door to her bedroom, where outside her parents argued. Her brothers ignored her. The phone rang, but not for her. Where eyes slid over and past her and through her. To someone else. Someone prettier. More interesting. Where people butted in as though she was invisible and interrupted her as though she hadn't just spoken." In that brief paragraph, we learn so much about this woman, Clara, who is suspect because once she was friends with Lillian, until Lillian cruelly betrayed her while they were in art college. Then there are the gallery owners. They have all gathered at the party in Three Pines to try to sign Clara, who has just had the most successful solo-show opening in a long time. Did one of them allow the competition and jealousy so common in the art world drive him to murder? Like a great artist working on a painting, Louise Penny took the time to add layer upon layer to the story and the characters. We find out about the problems between Clara and her husband, Peter, also an artist, but not on the same plane as Clara. We discover secrets about Gamache's second-in-command, Jean-Guy Beauvoir, as well as the complex connections so many people had with the dead woman. In discovering those secrets we encounter characters that become so real that one reviewer on Amazon wrote, "…you want to go and, if not live with them, at least spend a few weeks of quality time." I agree. I would love to visit these people again. Louise Penny worked as an award-winning journalist for the Canadian Broadcasting Corporation before leaving to write crime fiction. Her first mystery, Still Life, was the winner of the New Blood Dagger and the Arthur Ellis, Barry, Anthony, and Dilys Awards. 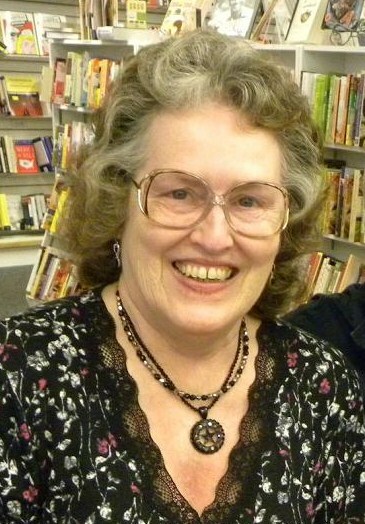 Louise went on to become the first writer ever to win the Agatha Award for Best Novel four times, as well as an Anthony Award for The Brutal Telling and the Dilys, Arthur Ellis, Macavity, and Anthony Awards for Bury Your Dead. Her novels are bestsellers in the United States and Great Britain and have been translated into twenty-three languages. She lives with her husband, Michael, in a small village south of Montréal. Would you recommend starting with the first book in the series, Maryann, or did you find it easy enough to follow A Trick of the Light as a standalone? It is easy to read each book as a stand-alone, but there are sub-plots that carry from one book to the other. For instance, there is reference to a previous incident where several officers got shot and the officers carry that trauma into this story. These series with evolving characters always remind me of episodic television. Each week there is a new central story, but the personal stories of these characters can be strung along for a season, or more. I do plan to start the series from the beginning and get to know these people better. I would read this series from the beginning, mostly because of character development from book to book, and changing relationships between characters. As Maryann points out,there are layers upon layers in Louise Penny novels. Great review. Sounds like a very good book. It's fun reading an entire series to get the nuances, just like when I watch Seinfeld and some of the references carry over to other episodes, and those in the know appreciate them. Sounds like a great mystery book and author. It's been a while since I started reading a mystery series. This sounds like a great read! Thanks for sharing it with us. Helen, it's been a while since I started a series, too. There are so many that it is hard to keep up. I don't know how some readers and reviewers read so many in one month. I average three to four books a month, but wish I could read more. Wow! Now I want to read the book. Great post, Maryann. I adore these books, and recommend them to any mystery lover I run into. Definitely start at the beginning if you can -- the character growth through the series is lovely, and I miss them when I finish each book.